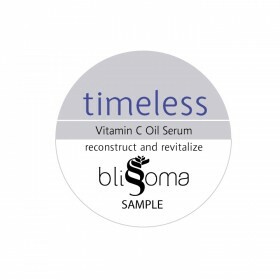 Complete nourishment awaits with this luxurious, anti-aging oil serum that provides Vitamins C and E..
Oil isn't the enemy. In fact, it's your skin's best friend. Discover why this exquisitely nourishing.. It may seem counterintuitive to put oil on oily skin, but that's just what we're telling you to do. The right oils will clear excess sebum, reduce the appearance of inflammation, and encourage a healthy microbiome. Oils. Yes. 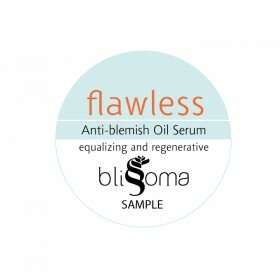 "Oil-free" is a phrase we just don't understand at Blissoma. The oil-free fad is one of the worst misinformation campaigns out there in facial care. It's time to unlearn and to unlock the goodness of natural, unrefined, botanical seed oils. 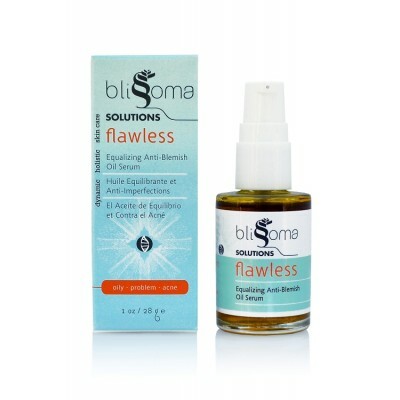 Flawless feels different than you might expect. 6 super absorbent oils with a featherweight consistency expertly condition temperamental skin. 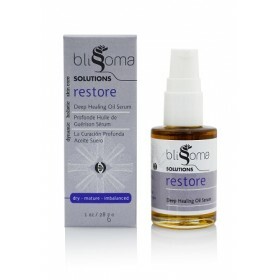 This oil blend has a lighter feel than our Restore oil serum and includes the practically miraculous Organic Hemp Seed oil as a base. Many commercial skincare lines shy away from using this fragile oil in their recipes due to a shorter shelf life and low heat tolerance, but based on its amazing abilities we've blended it carefully with stable oils and antioxidants. The result is a nutritious concoction rich in Omega fatty acids and trace phytonutrients to reduce the look of inflammation in the skin. The green/amber color of the oil blend is because of the natural chlorophyll present in the unrefined, raw, cold-pressed Hemp oil. Hemp oil has a comedogenic rating of 0 and will not clog pores. Hemp is remarkably comforting to skin and provides the body with essential nutrients required in order to maintain epidermal lipids, skin’s water barrier, elasticity and softness. In addition it reduces the appearance of redness and is suitable for skin suffering from eczema and dermatitis. Organic Cranberry oil, Blackberry Seed oil and Organic Sacha Inchi oils are included for antioxidant content and to help stabilize the sensitive Hemp oil. 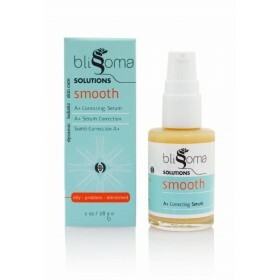 Our careful blending with these other lightweight oils makes it possible for this oil blend to stay fresh as you use it, and also add potent quantities of Vitamins A, C, and E to encourage the appearance of youthful qualities in skin. It's not often that skincare suitable for acne skin types is actually anti-aging, but raw, active botanicals enable us to accomplish both. Organic Tamanu oil offers over 10 types of different active molecules which include friedelin, canopyllic acid and canophyllol, xanthones and coumarins. This makes Tamanu another amazing oil for acne skin types seeking natural skincare to reduce the appearance of blemishes and create a healthy skin microbiome. To add to the benefits of Tamanu we include Calendula CO2, a uniquely potent supercritical extract, to reduce the appearance of irritation and aid recovery from breakouts. Watermelon Seed oil provides one of the most unique properties to the blend, as it actually has the capability to mix with the skin's own sebum, dissolve and lift it out of pores. 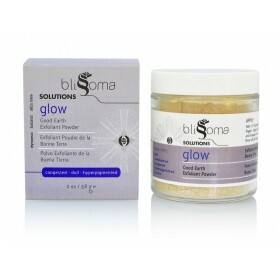 This makes a short facial massage with Flawless an invaluable tool for unblocking and cleansing pores. There are so many benefits to these seemingly simple oils it is hard to describe them all. As usual the quality of our products is in the skilled blending, the ingredient sourcing and choices, and the freshness and potency when delivered to you. We dare you to treat your skin to Flawless and see the amazing benefits. One bottle goes a long way and you may find Flawless useful for other purposes including moisturizing the ends of your hair and controlling flyaways - its light consistency is just perfect to apply a bit to damp hair for styling! Gently spread over face and neck after cleansing and toning. 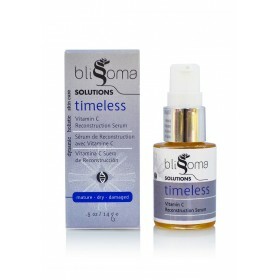 Apply directly to blemishes and massage skin to clear blocked pores and stimulate repair. Each 1 oz container is approximately a 2 month supply when used once daily.